"Challenging", "rewarding" and "useful", are the words students are frequently using to best describe the PADI Rescue Diver course at Underwater Vision. 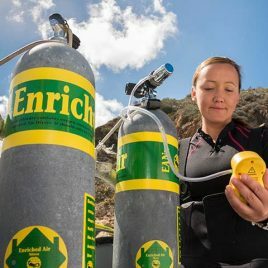 Building upon what you’ve already learned in your PADI Open Water Diver course and Emergency First Response course this course expands on what you already know about how to prevent problems, and how to manage them if they occur. 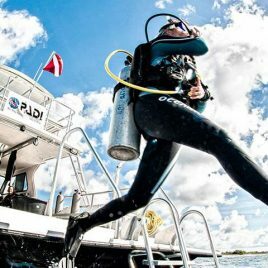 The PADI Rescue Diver Course is a prerequisite for the PADI Divemaster which is the next level of dive training taking you into the realm of PADI Professional Diving and it can be done at Underwater Vision in Utila! Throughout the PADI Rescue Diver Course, you will work closely with our highly trained and experienced instructors to calmly handle simulated dive emergencies in, out and under the water! 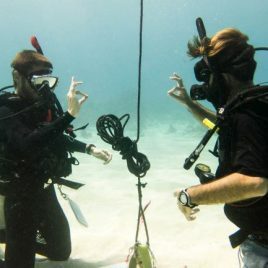 In order to begin the PADI Rescue Diver Course, you must have completed a recognized First Aid/CPR course from an acceptable and recognized agency within the last two years, or completed the Emergency First Response, which is available at Underwater Vision and can be taken in conjunction with the Rescue Diver Course! 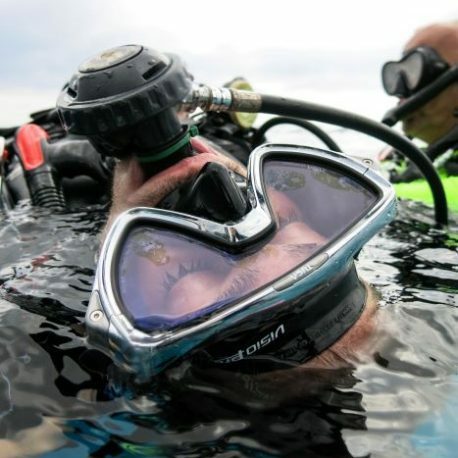 Being able to handle any scuba diving emergency that may potentially occur will make you a more confident diver, but also make you extremely important and useful to have on any dive or dive boat, whether in Utila or elsewhere! 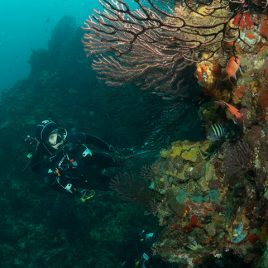 The Rescue Diver Course at Underwater Vision is about rising to challenges and mastering them. After completing this course, students feel a sense of pride and achievement for becoming proficient at the more challenging aspects of the course. Get started today by signing up with eLearning for Rescue Diver – PADI’s eLearning option – to start now. You progress through five knowledge development sections using a web-based system that lets you learn at your own pace through an easy-to-use, interactive program. You also have access to an online version of the Rescue Diver Manual for reference during and after the course. If you prefer, you can choose to study with the Rescue Diver Manual and watch the Rescue Diver Video (a book and DVD package). Go to Underwater Vision to enroll in the course, get your materials and start learning. 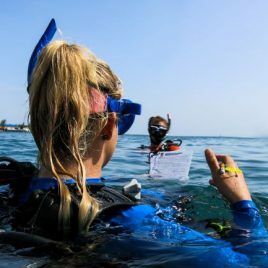 Your PADI Instructor will meet with you to schedule knowledge review sessions along with your rescue exercises and scenarios. 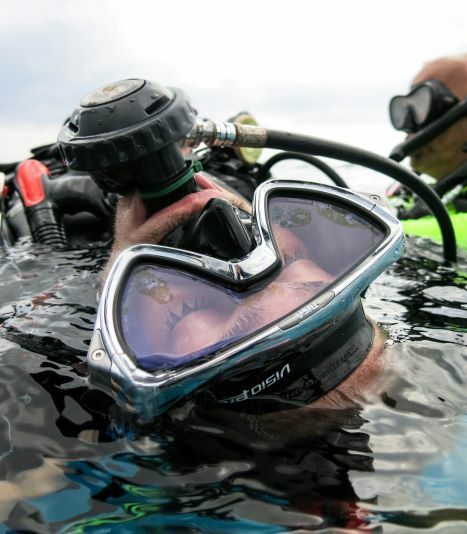 You’ll use your basic scuba gear and will need a pocket mask to practice in-water resuscitation. During exercises, you’ll work with an oxygen unit, floats, marker buoys and perhaps CPR mannequins. Your PADI Instructor will explain the equipment that you need and may suggest additional gear, such as your own first aid kit, which will be useful throughout your diving career. 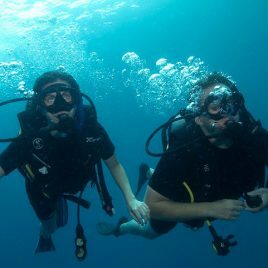 Underwater Vision will provide all of the scuba diving equipment you will need to use throughout the duration of your PADI Rescue Diver course and for your fun dives at no additional cost. Continue your dive education and training and take the PADI Emergency Oxygen Provider course to round out your diver emergency rescue skills, or take your dive adventure to the professional level with the Divemaster Internship Program at Underwater Vision IDC Resort– now that you have the prerequisite rescue skills, you are ready to become a Divemaster, stay in Utila a little bit longer and join the dynamic team of PADI dive professionals!